AIIMS PG 2019 – AIIMS has released the stage 1 CBT result of DM / M.Ch (3 yrs ) & MD (Hospital Administration) examination. The Application form for DM / M.Ch (3 yrs) & MD (Hospital Administration) was released on the official website. Entrance exam for AIIMS PG MD / MS / M.Ch (6 years) / DM (6 years) / MDS July 2019 Session will be held on May 05, 2019 and for DM / M.Ch (3 yrs) & MD (Hospital Administration) entrance exam held on April 06, 2019. 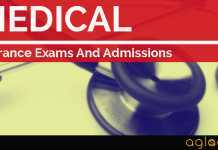 The candidates can check the complete information on AIIMS PG 2019 for MD, MS, M.Ch, DM & MDS courses from this page. Latest: The result of stage 1 exam of DM/ MCH/MD(Hospital Administration) has been announced. Click here to check the same. Also, status for final registration has been uploaded on the candidate Login. Click here to check the same. Candidates could apply for AIIMS PG 2019 from the official website as per the scheduled date. Those who fill their application form on time as per schedule were eligible to download the admit card for the entrance exam. The following dates are applicable for DM / M.Ch (3 years) / MD (Hospital Admin.) / MD / MS / M.Ch (6 years) / DM (6 years) / MDS. Availability of Admit card 10 Apr 2019 Availability of Admit card To Be Announced! Date of Entrance Examination (Stage-I) 06 & 13 Apr 2019 Date for checking status of Final Registration: Accepted & Rejected with reasons. A Candidate must possess a degree in MD/MS or DNB from a University recognized by the MCI in the respective discipline. The candidates must have completed the requisite qualification, degree, and tenure by July 31, 2019. The candidate must possess MBBS or an equivalent degree (As per MCI) with a minimum experience of three years in a hospital in the relevant field or five years in general practice. A certificate issued by the District Magistrate in support of the general practice claimed should be enclosed with the application. The candidate must have obtained a minimum of 50% marks for candidate belonging to SCs/STs in aggregate in all MBBS professional examinations and 55% for an other category including OBC. A candidate must possess MBBS degree for MD/MS and BDS degree for MDS courses of a University recognized by the Medical Council of India/Dental Council of India and must have completed the required period of 12 months compulsory rotating Internship/Practical training on or before 30th January 2019 [As per DCI endorsement No.DE-130-2011/B-4978, the candidature will be as per DCI Revised BDS Course (4th Amendment) Regulation- 2011 published in Gazette notification (Extraordinary) Part-III, Section-4. Candidates who complete their internship after 30th January 2019 are not eligible for Registration in this examination. In case it is found that a candidate who does not fulfil the eligibility qualification/criteria (such as Internship Completion dates) has provided false information solely for appearing in the examination for practice purpose, the candidate shall be debarred from appearing in AIIMS Entrance Examination in the future. The selected candidate will be verified against previously available data for further action as above. For OPH candidates the minimum aggregate as provided in (i) and (ii) for the category to which the candidate belongs shall apply. The candidate must possess an MBBS degree and should have completed the required period of one-year compulsory Internship. He/she must have obtained at least 55% marks in aggregate in all the MBBS professional examinations. The eligibility criteria are the same as specified for MD/MS (3 years) courses. A candidate must possess MBBS degree for MD/MS and BDS degree for MDS courses of a University recognized by the Medical Council of India/Dental Council of India and must have completed the required period of 12 months compulsory rotating Internship/Practical training on or before 30th July, 2019. (iii) For Persons with Bench-mark Disabilities [PWBD] candidates the minimum aggregate as provided in (i) and (ii) for the category to which the candidate belongs shall apply. The eligibility of Sponsored Candidates with respect to the minimum marks in aggregate in all the MBBS/BDS professional examinations will be the same as for candidates as mentioned from (i) to (iii) above. For foreign students Please obtain the certificate of grading system from your University / Institution to determine the value of grading in percentage to be produced. After getting the certificate, calculate total and obtained marks from the certificate then fill “Marks Column” and complete Final Registration before due date. Click Here to download the eligibility criteria for MD / MS / DM (6 yrs.) / M.Ch. (6 yrs.) / MDS in pdf format. AIIMS PG 2019 Application Form for DM / M.Ch (3 yrs) & MD (Hospital Administration) and for MD / MS / DM (6 yrs.) / M.Ch. (6 yrs.) / MDS submission for July session was available in the section of application form. Interested candidates must fill the AIIMS online application form for PG entrance examination before the last date. The application fee includes the fee for entrance examination is non-refundable. AIIMS Online Registration for PG 2019 exam consists of registration, filling up the form, fee payment via debit/credit card/challan. A candidate seeking admission to the Entrance Examination is required to submit his/her application form of AIIMS PG 2019 in the prescribed format available online with the Prospectus on www.aiimsexams.org. The cost of AIIMS PG Application Form 2019 includes the fee for entrance examination which is non-refundable and no correspondence in this regard will be entertained. The candidate is required to go through the prospectus carefully and acquaint himself/herself with all requirements with regard to filling in of the AIIMS online application form. Note: For AIIMS PG 2019, eligible candidates first do basic registration, as a part of PAAR process, and then do the final registration at aiimsexams.org. Downloadable Admit cards for DM / M.Ch (3 yrs) & MD (Hospital Administration) of all the eligible candidates will be available on website www.aiimsexams.org. All the candidates are advised to download their Admit Cards from the website before the last date. It may please be noted that the Admit Cards will not be sent By Post. Admit card for AIIMS PG 2019 will be released after the completion of application process. Candidates who are going to appear in AIIMS PG 2019 Examination must check the exam pattern designed by AIIMS for admission into DM / M.Ch (3 years) / MD (Hospital Admin.) & MD / MS / M.Ch (6 years) / DM (6 years) / MDS courses. preference over the younger one. Applicant should indicate his/her choice of city of examination in the application form. The centre of examination once allotted on first come basis, (depending on number of nodes available) will not be changed and any request in this regard will not be entertained. Applicants should therefore choose the choice of city with utmost care. Marking Scheme Correct Answer : varries from +1/5 marks to +1 marks. Incorrect Answer: varries from -1/5 marks to -1 marks. Click Here to check the seats and city of examination for 6 Years courses. Final results for DM / MCh / MD (Hospital Administration) Courses can be checked online at the official website of AIIMS, New Delhi after the successfully completion of entrance exam. Result of individual candidate will not be informed on telephone and candidates are advised NOT to call the Examination Section for such information. However, individual result can be checked after declaration of final result from the website through the Result of My Page after login. Stage I: Written test carrying 80 marks of 90 minutes duration in the subject the candidate has applied for. The question paper will consist of 80 Multiple Choice Questions (MCQs). Final Selection: The Final result will be declared based on total marks obtained in stage-1 and Stage-II Examination. The result of stage-I will be available on the website of the Examination Section. No individual intimation will be communicated to candidates. Candidates who fail to attend any of the two stages mentioned above will not be eligible for admission. 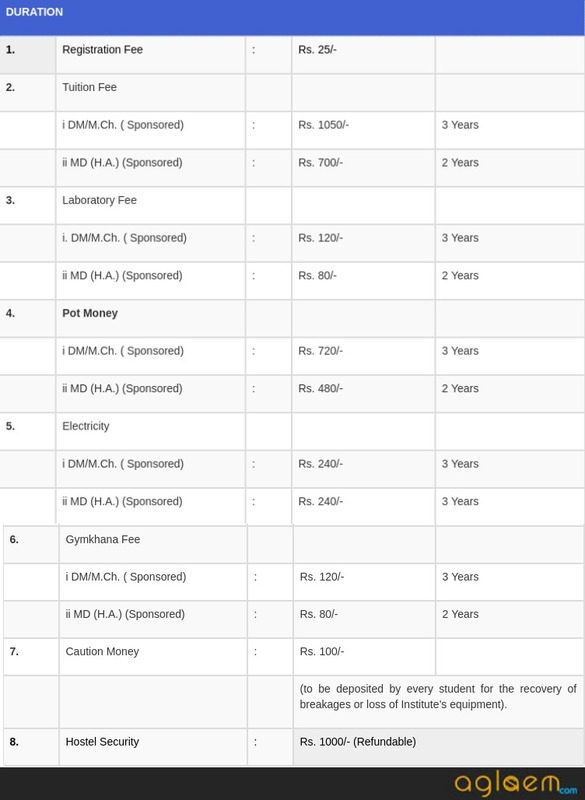 Selection Process for MD / MS / M.Ch (6 years) / DM (6 years) / MDS is given below. In accordance with the decision of the Governing Body, AIIMS dated 14 September 2013, the minimum cut-off necessary in the Entrance Examination to determine eligibility for admission is 50th Percentile. Percentile scores are scores based on the relative performance of all those who appear for the examination. Basically, the marks obtained are transformed into a scale ranging from 100 to 0 for each group of examinees. The Percentile Score indicates the percentage of candidates that have scored EQUAL TO OR BELOW that particular Percentile in that examination. The highest score is converted to a Percentile score of 100. The marks obtained in between the highest and lowest scores are also converted to appropriate Percentiles. The Percentile Scores would be converted to 3 decimal places to avoid bunching effect and therefore reduce ties. The following is a further explanation of the interpretation of the scores in an examination with 100 candidates. If candidate A’s Percentile score is 100, it indicates that amongst those who have taDM / M.Ch (3 years) / MD (Hospital Admin.) courses ken the examination, 100% have scored either EQUAL TO OR LESS THAN the candidate A. It also indicates that no candidate has scored more than candidate A. If candidate B’s Percentile score is 90, it indicates that 90% of the candidates who have taken the examination have scored either EQUAL TO OR LESS than candidate B. It also indicates that remaining candidates have scored more than candidate B. If candidate C’s Percentile score is 50, it indicates that 50% of the candidates who have taken the examination have scored either EQUAL TO OR LESS than candidate C. It also indicates that remaining half of those who took the examination have scored more than candidate C.
If candidate D’s Percentile score is 30, it indicates that 30% of the candidates who have taken the examination have scored either EQUAL TO OR LESS than candidate D. It also indicates that remaining have scored more than candidate D.
If candidate E’s Percentile score is 1, it indicates that none of the candidates who have taken the examination have scored either EQUAL TO OR LESS than candidate E. It also indicates that all remaining candidates who took the examination have scored more than the candidate. Click Here to download the selection criteria for MD / MS / DM (6 yrs.) / M.Ch. (6 yrs.) / MDS in pdf format. Candidates who going to fill their Application form for AIIMS PG 2019 for admission into various courses can check more details about all courses from the information brochure of AIIMS PG 2019. Brochure for various programmes is given below as per announcement. Click here to check the FAQs regarding the DM / M.Ch (3 years) / MD (Hospital Admin.) courses for July 2019 session. If you have any queries regarding AIIMS PG, please ask in the comments below. If your friend doesn’t get any Email or any update from the authority then he has to contact the authority about it.